Feathered Friday. Australasian Brush Turkey. I was delighted to come across this turkey on one of my nature walks and even more delighted to capture him perched on a tree branch. These pesky birds are usually hard to capture as they flit around with nervous, jerky movements whenever people get close to them which probably has a lot to do with the fact that they can be very annoying in one's garden. He kept a wary eye on me as I took these photos. The scientific name for Australasian Brush-Turkey is Alectura lathami and they are characterized by their black body, a baldish red head and their yellow throat wattle. The throat wattle is pale blue in northern birds and all brush turkeys have a laterally flattened tail. They are easily recognisable and are the biggest of the meapodiidae family. 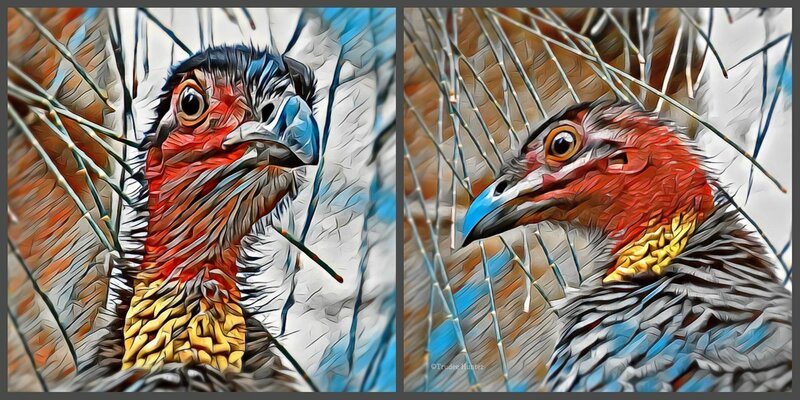 The three types of megapodes belong to the group of fowl-like birds (Galliformes) which include peafowl, junglefowl, quails and turkeys.A similar species is the Orange-footed Scrubfowl (Megapodius Freycinet) and they share part of the brush turkeys location in the northern ranges. Their feathers are almost entirely brown or dark grey apart from their orange feet and legs. The third type of megapode is the Malleefowl (leipoa ocellate) and they are characterised by their large brown bodies which are barred black, white and rufous. These birds are located in the southern and south-western parts of Australia. 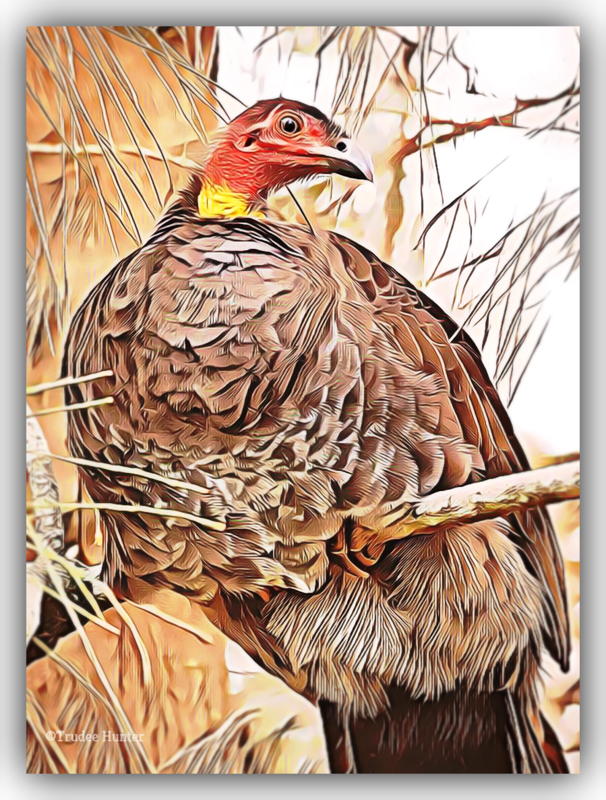 The Australian Brush-turkey's live in eastern Australia, which include areas such as the Cape York Peninsula, Queensland, south to the northern suburbs of Sydney and the Illawarra region of New South Wales. I used digital effects to create this image featuring fairly neutral tones. Brush turkeys prefer rainforests and wet schlerophyll forests, but they are often seen in drier scrub areas. In northern parts these turkeys favour higher altitudes, but some will migrate to lowland regions during the winter months. 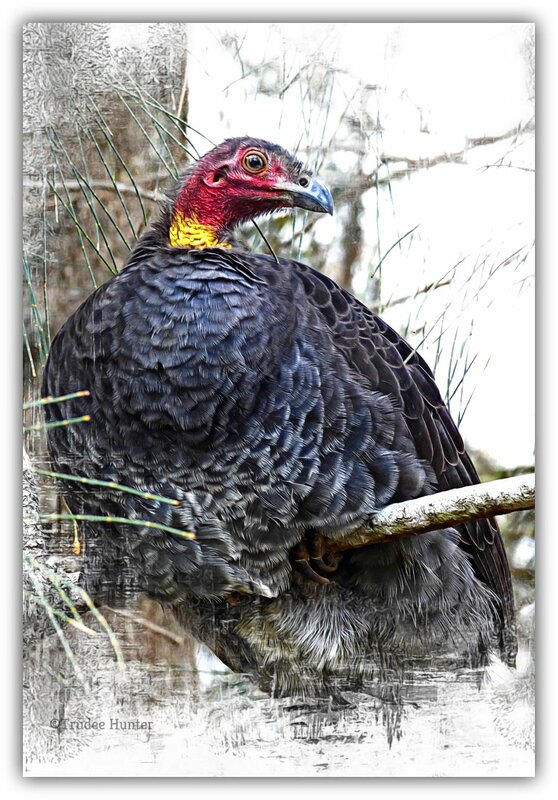 Southern based turkeys are common fund in both mountain and lowland areas. Their diet consists of insects, seeds, and fallen fruits and these are found amongst leaf litter although they are very adept at breaking rotten logs open with their large feet. Most of their food is sourced from the ground but some turkeys will occasionally fly to tree branches to enjoy ripe fruit when it is available. The images in this collage has also received digital treatment. Don't you just love that supercilious look on this birds face? Who does he think he is? What a turkey! Brush-Turkeys incubate their eggs in large mounds which are built by the male. He forms a large single mound using organic matter and this measures approximately 4 m wide x 1 m high. The females gather together to lay their eggs in a single mound and these are incubated by heat arising from the rotting vegetation. A constant temperature of 33-38 degrees centigrade and he does this by digging holes in the mound and embedding his bill into it to check the temperature. He regulates it by adding or removing vegetable matter as required. 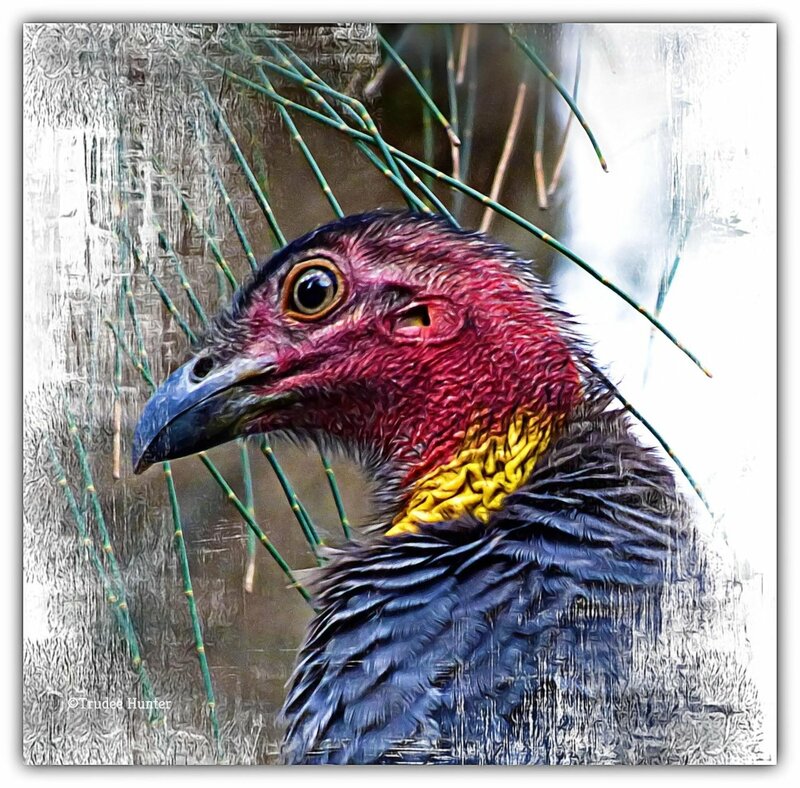 Lovely captures of the Brush Turkey and the digital edit turned out great. Thanks so much Jo. It was fun to do. 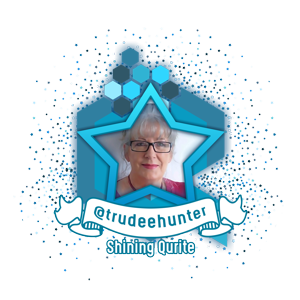 Howdy Trudee! Amazing what you can do with a few simple shots! Those are really interesting versions and the originals are amazing too! Really? I thought they were all the same, world over.Thanks for visiting Steven. 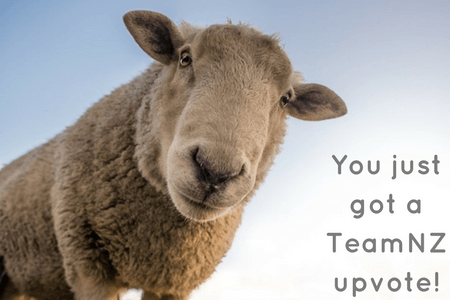 You're very welcome. Thank you for your visit and kind support. Fabulous turkey photos! I didn't realize that Australia has turkeys, too.